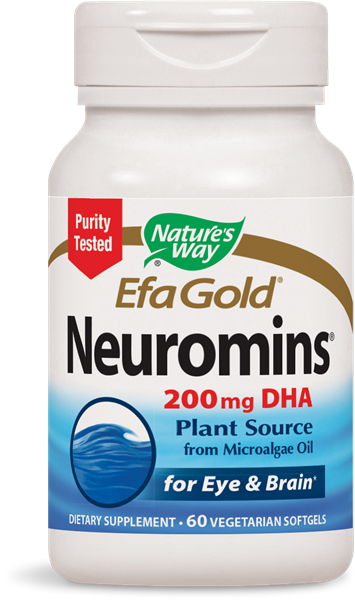 Neuromins 200 mg DHA / 60 Softgels - Nature's Way®. Take 1 softgel daily, preferably with food. If taking any medications, consult a healthcare professional before use. Purity Tested: This product contains no harmful levels of heavy metals (including mercury) and other impurities. Neuromins® is a registered trademark of DSM Nutritional Products.